Six civilians died and 10 more were wounded in airstrikes on Abu Kamal, according to local sources. While the majority of reports blamed the US-led Coalition for the airstrikes, the Syrian Observatory for Human Rights said that it was unclear whether the Coalition or Russia were responsible. The Coalition later confirmed having unintentionally killed three and injured nine in this strike. Euphrates Post reported that an “air bombardment” (it didn’t say who was to blame) targeted the city of Abu Kamal, near the Abdullah bin Masood mosque. It also noted another raid on “the empty house of Jamul al-Dulaimi”. 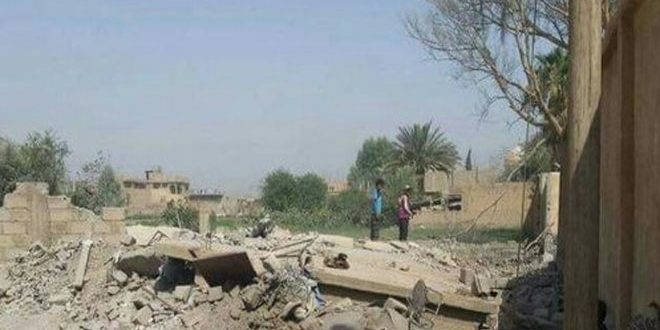 According to the pro-regime agency Sana, “the US-led coalition bombed the Aisha hospital, the club and Al Shuhadaa [Martyrs] roundabout killing six civilians, including women and children and injuring 10 others and causing damage to infrastructure”. The Syrian Network for Human Rights, also attributing the event to the Coalition, reported the death of a mother and her two children. However, according to the Syrian Observatory for Human Rights (SO4HR), who said that at least six non-combatants were killed, it was unclear whether Russian or Coalition warplanes were responsible for the strikes. The Coalition has not provided Airwars with any further locational information on this confirmed strike. During a Coalition strike that destroyed an ISIS headquarters structure, it was assessed that three civilians were unintentionally killed and nine civilians were unintentionally injured.